If you or a loved one has been injured in an auto accident, you need competent, experienced, legal representation to recover the compensation you deserve. Medical costs and property damage aren’t your only expenses. You may also be able to recover compensation for lost wages, pain and suffering, and other losses you’ve incurred. See the links below for more detailed information on specific types of accident claims, and learn how the experienced auto accident attorneys at Long & Long can help you get compensation for your losses. Discuss your case with one of our experienced accident attorneys; call us now at (251) 432-2277 to schedule an appointment. Your consultation is free, and we never accept payment until we settle your case. What should I do if I am injured in a car wreck that is the fault of someone else? The very first thing you should do is seek medical treatment for any injuries you may have sustained. Once you have been treated for your injuries, you should contact Long & Long before speaking with anyone from the insurance company. The insurance adjusters are highly trained and skilled individuals who know all the tricks to keep from paying you for your injuries. Their job is to get to you first, before you’ve had the opportunity to discuss your rights with an attorney. The quicker they get to you, the more money they can save the insurance company by offering you a very small, quick settlement. Do not let this happen to you! Please contact our auto accident lawyers for a free legal consultation. What if I am injured in a car wreck and the person who caused the wreck does not have any car insurance? If you have uninsured motorist coverage on your insurance policy, you are still able to recover for any personal injury you may suffer at the hands of an uninsured or under-insured motorist. This insurance coverage is rather inexpensive and can save you a lot of headache if someone who has little or no insurance injures you. What if I am injured in a car wreck and the person who caused the wreck does not have insurance and I do not have any uninsured motorist insurance? You still may be able to recover if you live in the same household with someone who is related to you by blood or marriage and they own a car or cars that have uninsured motorist coverage. This is a very tricky area of the law that many people, including some lawyers, are not aware of. 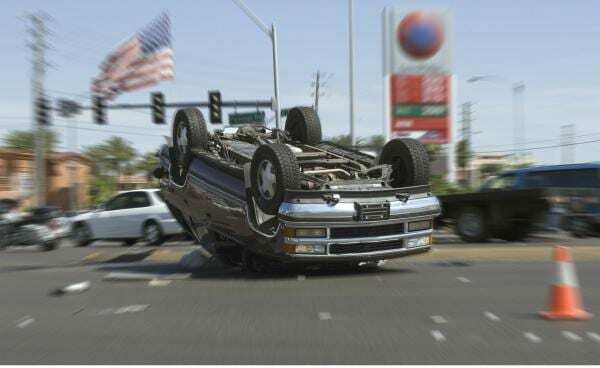 What if I am injured in a car wreck and I do not have any health insurance? While not having health insurance certainly complicates your medical treatment, it does not mean that you can’t recover. There are doctors and chiropractors that will treat patients without health insurance, as long as the patient promises to pay the health care provider if he or she receives a settlement. In other words, the health care provider does not get paid until the client gets paid. Also, if the car in which you were riding has an automobile insurance policy with Med Pay coverage, the Med Pay coverage will cover some of your medical expenses. What kind of things can I recover for if I am injured in a car wreck? You are allowed to recover your monetary and non-monetary losses, which constitute your actual expenses, mental anguish, pain and suffering, lost wages, etc. You may also be able to recover punitive damages in certain situations, such as DUI accidents, accidents involving reckless driving, etc. What if I am injured in a wreck with an 18-wheeler? Under federal law, trucking companies must carry liability insurance of at least $1,000,000.00 on their trucks. Because they have such great exposure to loss, the trucking companies and their insurance carriers are famous for trying to cover things up in order to minimize any potential recovery. If you’ve been injured in a wreck with an 18-wheeler, it is extremely important that you contact an attorney before talking to anyone from the trucking company or their insurance carrier. Talking to them first can absolutely devastate your case. If you have questions about your case not answered here, call us at (251) 432-2277 to schedule your free consultation with one of our qualified, licensed attorneys. They can answer all of your questions personally.